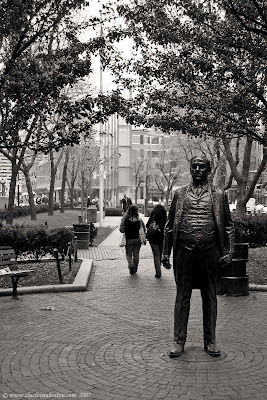 Statue of James Michael Curley, former mayor of Boston. In the background is the New England Holocaust Memorial. Unbelievable, I must have walked by that statue dozens of times and I never noticed it! A very happy Thanksgiving to you and your loved ones!